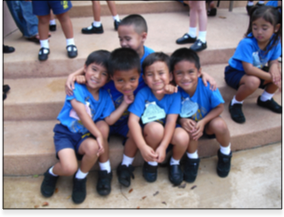 The Preschool at St. Michael School provides children ages 3-4 years old an opportunity to develop necessary social and intellectual skills that prepare them to excel in Kindergarten and beyond. The academic curriculum includes recognition of letters, shapes, numbers, colors, and basic phonics as well as life skills such as social interactions. 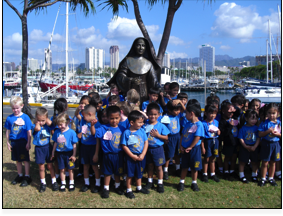 St. Michael School is not only the best choice in the North Shore for fostering early childhood development, but as a Catholic school, we are committed to providing each child a safe, loving, and nurturing learning environment. 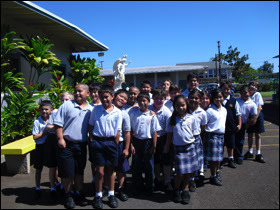 St. Michael School Preschool is licensed by the State of Hawaii Department of Human Services. Our Kindergarten through Grade 8 curriculum prepares students to thrive in high school and beyond. 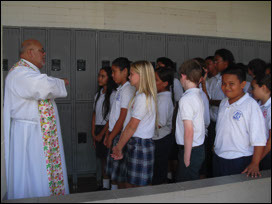 Students are educated in a faith-based, Christ-centered environment which focuses on a holistic approach to the individual. We not only educate the mind, but the heart as well.